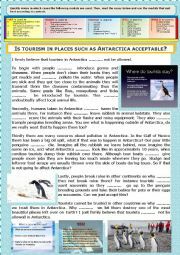 Gr - Opinion Essay + Modals + KEY - Is tourism in places such as Antarctica acceptable? 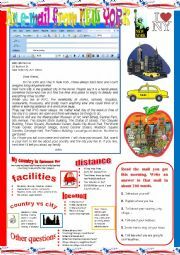 An e-mail from New York. 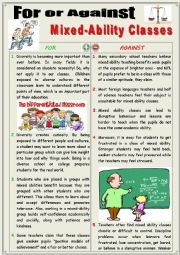 Reading and semi-guided writing. 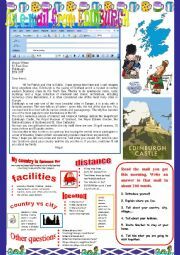 An e-mail from Edinburgh. Reading and semi-guided writing. 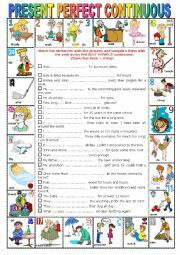 A ws to study, revise and drill the present perfect continuous. 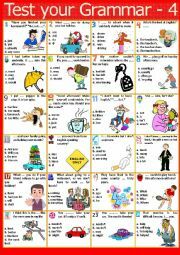 Ss have to match the sentences to the pictures and complete the exercises. 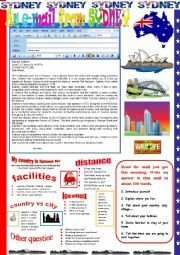 Have a look at my past simple lists. 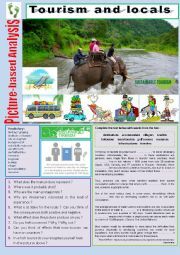 The most downloaded is http://www.eslprintables.com/printable.asp?id=741742#thetop Have a nice week. Monique. 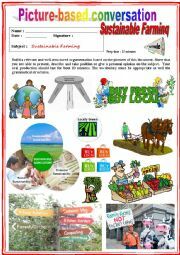 Test your Grammar - 4 Placement test. + key. A placement TEST to assess students, and see which grammar notions should be revised (individually or generally) or not. 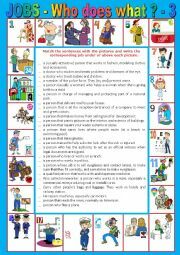 It can also be used in class as a general grammar revision. Ss would usually prefer it that way as they hate tests. Wish you the best ! KEY : THE ANSWER FOR QUESTION 17 IS WILL AND NOT DO !